Domestic violence crimes are some of the most emotionally charged and difficult cases in the entire criminal justice system. Most jurisdictions are extremely harsh against defendants and certain judges and prosecutors have zero tolerance when it comes to these types of crimes. The fact that domestic violence cases are looked at with more scrutiny by judges and prosecutors can often lead to a defendant not being treated as fairly as our justice system demands. In many cases, a person who is charged with this type of crime is presumed guilty not only by a judge, but also by friends and family. These cases also can have harsh collateral consequences that can extend beyond the courtroom, and affect the personal lives of defendants. They are unique from other types of criminal cases, and therefore defending them is better suited for an experienced lawyer that will fight for your rights both in and out of the courtroom. 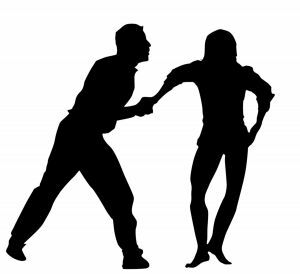 A domestic crime is generally defined as an incident of violence that causes actual physical injury, or the imminent threat of physical injury from a current or former spouse or a current or former cohabitant. Incidents of domestic violence have been steadily decreasing since 2004, but there are still over 17 thousand reported cases in Maryland each year. Although not all of these reported cases end up in an arrest, domestic violence crimes are still quite common in courtrooms all over the state. Police officers make arrests on a large percentage of domestic complaints, as currently about 80 percent of reported incidents of domestic violence cases end in an arrest. Not surprisingly, the majority of victims in reported cases are women, but there are still a significant percentage of male victims. Close to 75 percent of domestic violence victims are women. Most of these women victims are not married, and thus are not victims of violence caused by their husbands, but rather are victims of violence caused by a male cohabitant. There is no exact statistic on how many times police are called to the scene by a male and refuse to make arrest as compared to a female, but it is logical to assume that this number is higher for males. The state also keeps track of the most common times of day that domestic violence incidents occurs, and the statistics show that most of incidents occur between 6 p.m. and 1 a.m. Baltimore city has the highest per capita rate of domestic violence cases in the state, while Baltimore County ranks fourth. There are a large percentage of domestic violence cases where the alleged victim does not want to prosecute. We have handled a large number of these cases and understand the challenges that they present. Most state jurisdictions will not simply drop a domestic case if the victim does not want to cooperate. The state will send out mandatory trial subpoenas and many times will threaten to have the victim arrested for making a false police report if they change their story. This can further tear a family apart and have drastic legal and personal consequences. The Herbst Firm understands theses challenges and we are prepared to take them on to assure that our clients receive the best possible representation.